With Kelley’s The Crazy Ones soon to debut having debuted on CBS, I thought it might be interesting to look back on his career, which has featured a number of big-time successes and a few weird choices as well. Although it’s problematic to head down a road where we’re assigning a series’ creative output to one individual, pilots often give us the best representation of a writer’s vision for a project. So hopefully the next few entries won’t dive too deep into overly auteurist considerations of Kelley’s work, even if myself and my guests will be looking for ongoing themes and through-lines. Kelley’s place in history is fascinating: Is he anything close to a real innovator or just someone who did one thing really well for far too long? Is he an ally (see what I did there?) to women or just a Patronizing White Dude? Or, is he all those things? We’ll try to figure it out as best as we can. The third show in the theme is CBS’s Chicago Hope, the show the network asked for once Kelley made lots of noise with Picket Fences. Chicago Hope debuted fairly strong and won a handful of Emmys over the years, but it’s almost exclusively remembered for entering the competitive marketplace at the exact same time as NBC’s ER. Well, that and being the first show that Mandy Patinkin decided to leave because he had better stuff to do. Today, we try to determine if Chicago Hope is worth further discussion or if it has firmly earned its historical footnote status. Joining me today is Kevin McFarland. Kevin is the Editorial Assistant of The A.V. Club in Chicago, where he has been a frequent contributor for the past three years writing about television, books, music, and film. His work has also appeared or is forthcoming at The Atlantic, Paste, ChicagoSide Sports, Pick-and-Pop Culture, and various music blogs. A distractingly loud and proud graduate and football fan of Northwestern University, he bothers media people with his sports tweets and sports people with his television tweets. In spare moments he runs the Tumblr Old Yelliott Smith, which combines cute puppies and Elliott Smith lyrics to make magic. Follow Kevin on Twitter. Kevin: At first glance I wanted to talk with you about Chicago Hope because it was the other big hospital drama set in Chicago. But I was too young to be watching a lot of dramatic television in 1993, so I didn’t appreciate just how much television history converged around the time Chicago Hope and ER went head to head on the fall schedule. Think of how strange this history sounds given the current state of CBS’ television ratings dominance. CBS premiered a medical drama created by David E. Kelley set in a Chicago hospital in a special Sunday timeslot, a day before NBC’s high-profile medical drama ER, also set in a Chicago hospital. The following week the two began airing head-to-head in the Thursday 10PM spot—and NBC actually came out on top. Not only did they win, but ER ran for 15 seasons as a runaway success, part of a year that made Michael Crichton the only author to simultaneously hold the top film, book, and television show in America, while Chicago Hope retreated to an earlier time and then later to Mondays. It slunk away as the loser. How many times has NBC been able to say that about a conflict with CBS during my adult life? Since that Thursday night heyday for the Peacock, the network has been circling the drain, unable to find any sort of replacement for the bedrock of its lineup. They made a few bonehead moves in retrospect, namely the now ludicrous decision to cancel JAG after one season, which then hopped over to CBS, yielding the juggernaut NCIS franchise that somehow still dominates today. And Chicago Hope never really recovered from ER’s initial victory, despite picking up scattered Emmys over the course of its run. Rankled by CBS pressure to create a second show after Picket Fences and double his workload while decreasing each show’s quality, Kelley decided to leave in the second season, followed by the show’s biggest star, Mandy Patinkin. 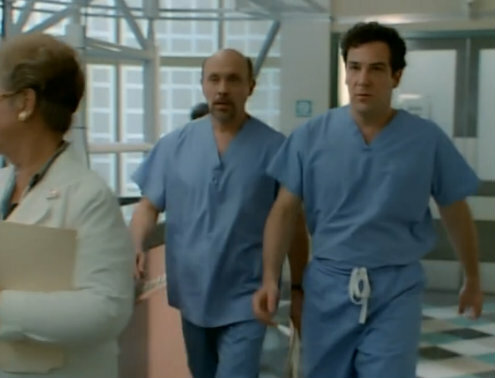 Both would later return to the show, but the revolving door of cast members and creative talent couldn’t hold up with ER, which held most of its main cast together for the first five seasons, only fully transitioned to a revolving door of doctors through an established setting after Chicago Hope had already been cancelled. This kind of television show smackdown occurs every so often, mostly when imitators pop up in response to a new hit—like all the Lost imitators you profiled earlier, or the family sitcoms aping Modern Family. Just a few years ago Once Upon A Time and Grimm debuted in the same season, both occupying the supernatural/fantasy niche. OUAT has spawned a spinoff, while Grimm holds onto a decent Friday night audience. But the Chicago Hope/ER type of showdown doesn’t happen very often: a major network face-off in the same time slot in one of the big procedural genres: doctors, lawyers, and cops. David E. Kelley got his start in legal drama on L.A. Law, but he’d basically bounce between medical and legal shows for most of his career—with Ally McBeal, The Practice, and Boston Legal as the high points, and Boston Public as the outlier until this year with The Crazy Ones. So now is the time when I’ll bring up that my father is a doctor (an anesthesiologist close to retirement, a topic I’ll address in a bit), and growing up I soaked up a lot of strange peripheral medical knowledge simply by listening to my dad telling stories about work at the dinner table. But my interests in entertainment and my father’s profession converged most intriguingly when we occasionally watched doctor shows. He had little to no interest in anything depicting the medical profession for the same reason any other profession hates to see the way mainstream media bases a show around their work: it is so rarely accurate enough not to incite cringing. I competed in Mock Trial, which meant I watched a lot of legal shows, because Mock Trial is more like acting than it is like being a lawyer, but Law & Order got both sides of the cop/lawyer divide horrifically wrong in the eyes of the people who actually held those jobs. That’s how my father would pick apart medical dramas. To him, House is laughably ridiculous as a Sherlock Holmes-esque hospital mystery series. Grey’s Anatomy—or any other romance-focused soap—vastly overplays the hospital bubble that causes so much romantic cross-pollination between coworkers on those shows. Scrubs was the exception, since it—at least for the first two seasons—most accurately portrays the life of an intern just out of medical school navigating the business of medical care in a teaching hospital. So that’s how I went into Chicago Hope, with the context of perhaps the final significant victory NBC scored over CBS before hitting a giant peak and eroding over the next two decades, and with minimal retained medical show bias from my father’s work. Structurally, the Chicago Hope pilot splits its time rather evenly between three plots, with a few extra bits of characterization thrown in. First is the transition from the old guard surgeon Arthur Thurmond (E.G. Marshall) to the hotshot upstarts Jeffrey Geiger (Patinkin) and Aaron Shutt (Adam Arkin), on the orders of Chief of Surgery Philip Watters (Hector Elizondo), Thurmond’s former mentor. 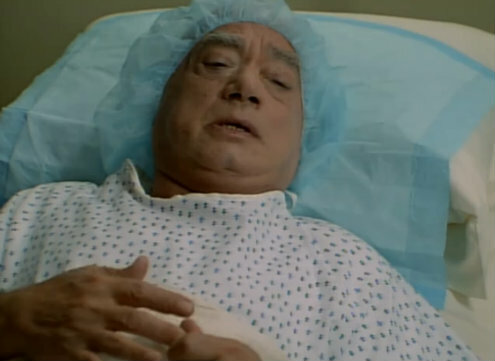 The second shows Dr. Shutt using a new surgical device to remove a brain tumor from a nervous older man who wants to make sure Shutt recognizes him as a person—while Shutt grapples with his wife, a nurse named Camille. And finally, the big showstopper: Watters brings in a case from another high-profile hospital in Texas, separating Siamese twins connected at the stomach, who share vital internal organs, and wants Geiger (the best surgeon in the best hospital in the country…we are to believe) to perform the surgery, despite his lingering heartbreak of losing a son in infancy. As this is the pilot, focused on establishing the major characters Kelley didn’t have the time to expand the cast as far at it would eventually reach, incorporating many physicians while focusing on those who appeared here. That means no Peter Berg, Jayne Brook, Vondie Curtis Hall, or Thomas Gibson, who stuck around for multiple seasons each. Mandy Patinkin gets to do what he does best, throw around a lot of charming wit while hinting at emotional instability underneath. He is without a doubt the most electric part of the episode, kicking up dust wherever he goes, the prototypical doctor who can fix anyone…except himself. But let’s go back to the changing of the guard for a minute. That’s the only point during Chicago Hope where I actually felt like Kelley had a point of view on the medical profession, and on the admittedly boring business of hospital administration. Thurmond nicks a patient’s aortic arch, which required Shutt and Geiger to step in and save a less sure-handed surgeon from letting a patient die. Thurmond contends it was one small mistake—Watters wants it to be the last mistake before Thurmond really hurts someone with his declining ability. But the board sees Thurmond as the man who attracted big grants and the top medical school graduates to learn at Chicago Hope. It’s a clash of politics, reputation, and foolish pride against what is best for the patients. In the best possible fashion, it turns out to be a win for both sides. The board backs Thurmond—after another great scene with Peter MacNicol as the hospital’s attorney going into damage control to prevent a lawsuit—but Watters refuses to put him on the schedule for the OR. I’ve seen the plot before, it pops up on pretty much every medical show, but it establishes that Kelley isn’t just thinking of the doctors as gods of surgery—and yet the focus on surgical medicine is a limiting problem—and does expand out to encompass a wider view of changing medicine (hence that fancy supersonic tumor liquefying instrument). My final big observation: good lord the melodrama. The final segment, which is essentially just the tense twin separation surgery, is basically what the phrase “right in the feels” was invented to describe. It pulls hard at all possible heartstrings, but goes for the Perry Mason ending where everything works out in the end. So by the time the pilot wraps up, both young male surgeons looks like heroes, the old guard unable to keep pace looks to be on his way out, and two separate baby girls get wheeled out to their paretnts. Sure, there are hints to the pools of brooding sadness right underneath the surface with Shutt’s divorce and Geiger’s son, but for the most part, the pilot doesn’t yet have the gall to establish the reality of complicated, high-risk surgery. And I’ll be honest: I peeked at the opening segment of Chicago Hope’s second episode, in which Patinkin walks into a room mere minutes after an elderly woman dies, and vociferously campaigns to the grieving widower to allow a procedure implanting a prototype artificial heart. I know the reputation of second episodes is that they’re very rushed with a writing staff—but that idea was simply preposterous, and it goes a long way toward immediately stripping away the do-no-wrong attitude the pilot has toward Patinkin’s character. There’s nothing in the Chicago Hope pilot that tells me it would become anything other than a solid genre show with well respected actors telling familiar stories while incorporating new technology. But like ER, I can’t really figure out why either of these shows were hits (of varying degree) other than being dependable and initially sketching out one or two characters I want to keep up with. Maybe it’s just that my workplace drama weak spot is firefighters—seriously, I’ll watch anything to do with firemen, that calling fascinates me—but it takes a very specifically tuned hospital drama to lure me in. And the Chicago Hope pilot feels like a relic that is now more interesting as a part of television history than it is as a medical drama. But what did you think Cory? Did the Chicago Hope pilot look like something more than a somewhat well regarded footnote in the history of the workplace drama to you? Where does it fall in the legacy of David E. Kelley shows? (I didn’t even bring up my thoughts on this related to the far bolder but poorly received Monday Mornings.) How much of this show and ER have you seen over the years? And just how much better is Mandy Patinkin than the rest of the cast here, even when delivering some overly cheesy dialogue? Cory: We’re around the same age, so I wasn’t watching TV much either when Hope and ER squared off. But over time, I’ve seen a nice chunk of ER episodes. Before this project, I hadn’t seen a single second of Chicago Hope, or at least a second that I consciously remember. After watching the pilot, I’m not very surprised that David E. Kelley’s medical drama got trounced by ER, despite some really good performances at the top. You noted your general ‘meh’ reaction to most medical dramas, no matter how well-produced they are, and though I mostly share that sentiment, ER was also something of a different beast when it began, particularly on a technical level. Whereas “24 Hours,” the ER pilot, is fantastically-directed, with Rod Holcomb perfectly capturing the kind of hysteria and mania that can define an emergency room (or at least that’s how I imagine it; don’t tell your dad I said that), the Chicago Hope pilot isn’t that visually interesting. 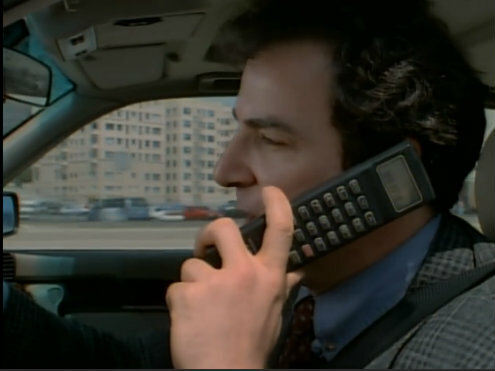 The opening sequence tries to ratchet up the energy with Patinkin’s Geiger rushing through traffic to get to the hospital while on a cell phone call with his bookie (because he’s an outlaw, or something), but the level of urgency just isn’t there, particularly in comparison to ER. Now, to be fair to Chicago Hope, the two shows were more different than history might want us to believe. In premise and setting alone, ER had a leg up; emergency rooms are inherently more exciting than broader approaches to the hospital setting. The OR sequences in Hope‘s opener aren’t not thrilling, but they’re pretty boiler-plate. Once you’ve seen one operation scene, you’ve seen them all, and without the larger permeation of excitement and danger, Hope just can’t compete. 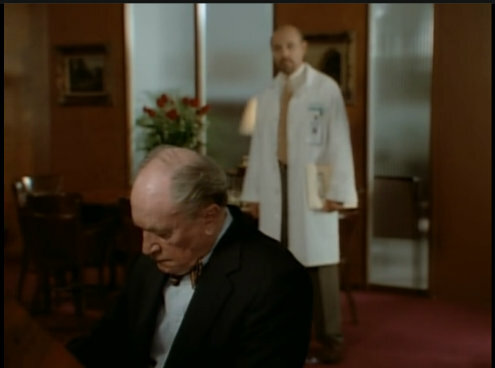 You’re right to point out that Hope‘s strongest story is the one involving Thurmond’s diminishing skills; it draws out some strong individual moments and emphasizes that this workplace’s high stakes happen outside of the OR as well. But that and siamese twins simply cannot compete with the aftermath of a horrible accent. Similarly, although Patinkin is as advertised throughout this first episode–charming, complex, a bit of a secret dickhead–Chicago Hope‘s cast doesn’t pop off the screen like most of the people on ER. Adam Arkin and Hector Elizondo are consistent, sturdy performers, but they aren’t Noah Wyle, Eriq La Salle, or Anthony Edwards. Although it’s easy to make this assertion retroactively, the two show’s styles seem fitting for their respective networks at the time. Hope is straightforward and professional, but lacking just a little something; ER is big, bold, and just feels different. That was CBS and NBC. One might argue that you could flip the shows and Hope would have been the cultural juggernaut, but I don’t think so. In any event, this isn’t all about how Chicago Hope couldn’t stack up to ER. Six years, 140-some episodes, and a handful of Emmys isn’t anything to scoff at. Turning more towards the show’s creator more specifically, I couldn’t help but think about the context in which Hope was created. CBS asked Kelley for another show after the success of Picket Fences, which makes sense. But after having seen both opening episodes, you can certainly tell which of the two has the more noticeable Kelley stamp. I didn’t care for Picket Fences at all, but had a particular voice and vision of its world. Although it didn’t reach apex levels of Kelley-ness that people might think of if they’re familiar with his work on L.A. Law, Ally McBeal, or The Practice, it still felt like the somewhat weird, mostly lame show that its creator wanted to make. Conversely, Chicago Hope‘s pilot doesn’t feel that way. There are brief moments where something shines through–Thurmond playing the piano, Shutt realizing that the new-fangled machine is not broken but just unplugged–and the siamese twins operation is one of those elements that feels like Kelley trying to tap into a nebulous zeitgeist, but that’s not much to go on. We’ll never know, but I wonder if CBS asked Kelley for a second show and then followed that request up with a little note about making that next project safer in some way. Here are some of the other dramas on CBS’s schedule in 1994-1995: an old Northern Exposure, Due South, Murder, She Wrote, and Touched By Angel. They still aired movies on Tuesday. To say that they needed a safe, broad hit is an understatement. And though Hope didn’t have the ratings success, popular culture impact, or longevity of ER, it help the Eyeball stabilize a spot on the schedule at a very weird time. It’s also therefore not much of a surprise that Kelley got burned out and left Chicago Hope within a few years. Chicago Hope shows us what happens when producers gain a lot of clout in the industry. It’s cool to get to make your own shows, sometimes multiple ones, but it’s a hell of a lot of work. Conclusions on legacy: It’s just fine; Patinkin!